Katherine* doesn’t have much family. With her dad gone, her grandfather served as her father figure. She lived with him — and was devastated when he died at just 50 years old. Growing up in one of the most dangerous areas of a Central American country, it would have been easy for Katherine to follow the path of so many of her neighbors, turning to drugs or gangs to numb the pain. You see, Katherine lives in a city where drug use and gang violence are rampant. The gangs are so prevalent, families are often driven from their homes, fearing for their safety. Katherine has grown up near a soccer field where she frequently saw drug use and gang activity — and she was scared. 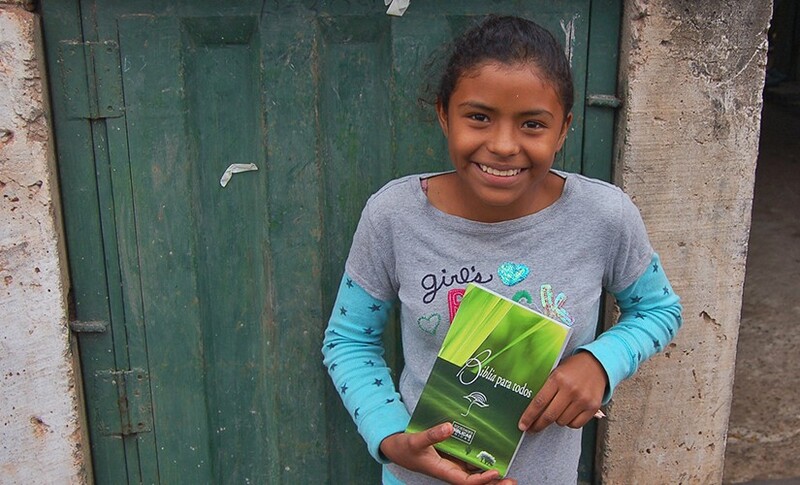 But thanks to gifts from American Bible Society’s financial partners, Katherine received a Bible of her very own. Now she’s not as afraid, and she’s determined to choose a better path for herself. Financial partners of American Bible Society help reach at-risk youth like Katherine in some of the poorest and most violent areas of the world —where people are desperate for the redeeming hope found in God’s Word. The Digital Bible Library now contains biblical texts in 1,000 languages. 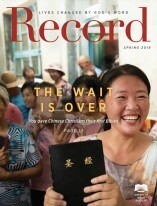 The End-to-End ministry shares God’s joy by helping people around the world see, hear, and experience God's Word.